Since the Silverpod® name first took the air freight-forwarding business by storm, we have expanded the brand and repeatedly embraced new technology to develop a range of temperature control packaging (TCP) systems that offer our pharmaceutical clients choice. This is a range that literally ticks boxes. Qualified to recognised industry standards, the Silverpod® pallet in pallet shippers will comfortably maintain the designated temperature ranges in the chilled, ambient and frozen brackets. And they’ll do so for lengthy time periods of up to 120 hours. Designed with the intention of accepting palletised loads, they optimise the loading of temperature sensitive consignments, providing maximum capacity and integrating with the world’s different freight networks. 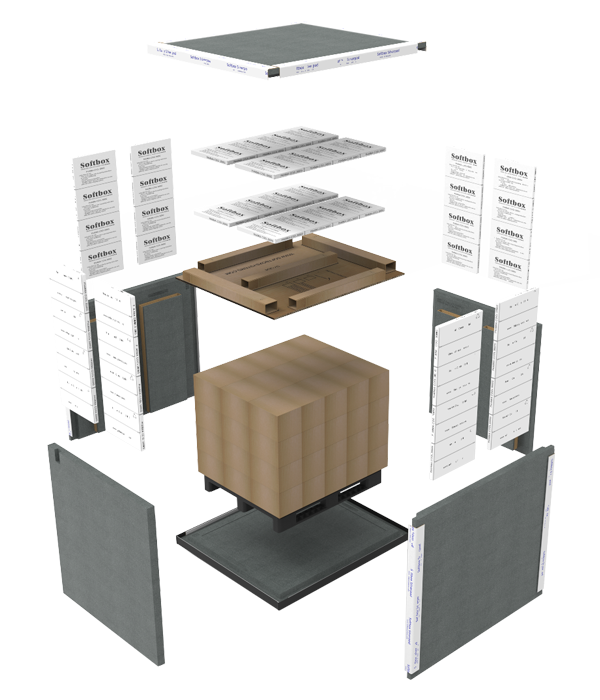 Silverpod® is a system that is supplied to you flat-packed. Crucially, it makes for cost-effective delivery and storage. But it also means it’s very easy to condition and assemble, with individual pieces slotting smoothly into each other to form protective, advanced material layers in and around your pallets. Silverpod® pallet in pallet shippers give our pharmaceutical clients everything they have come to expect from a Softbox solution. They provide a significantly lower price point when compared to active systems, with our users typically recognising total savings of around 25%. These pallet in pallet shippers come in single or double pallet configurations and accept industry standard US and Euro palletised consignments. They are globally available via an extensive supply network and you can expect timely delivery from our strategically located manufacturing facilities. 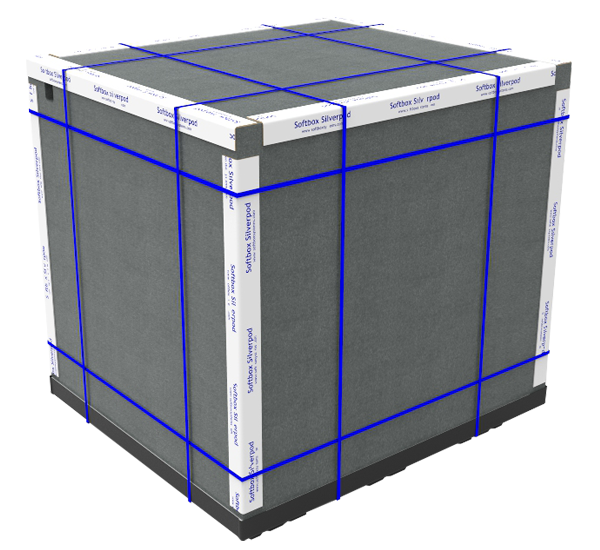 With thermal performance, cost-effectiveness, secure global supply and impeccable customer service so important to our clients, it follows that Silverpod® pallet in pallet shippers are globally recognised and highly favoured by the world’s leading Life Sciences, Biotech and Logistics companies.